This entry was posted in FROM PLACE TO PLACE / A SLIDE SHOW. Bookmark the permalink. I like the oil drums. 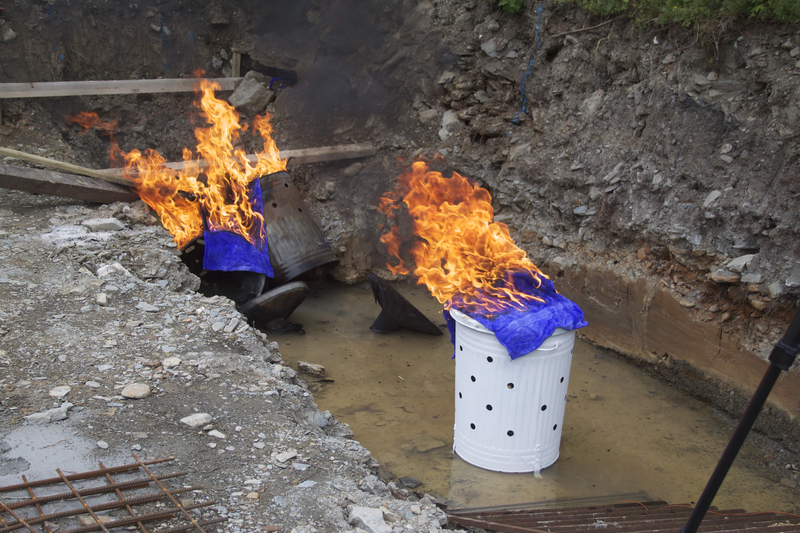 I have used oil drums in several installations over the years …… also these garden incinerators which I am currently using at the site of an old flour mill in Carmarthenshire. This is really cool stuff Dave. I love the playfulness and compositions. Thanks Lynette …… I have always respected that sense of fun and play that most creative people entertain within their work! 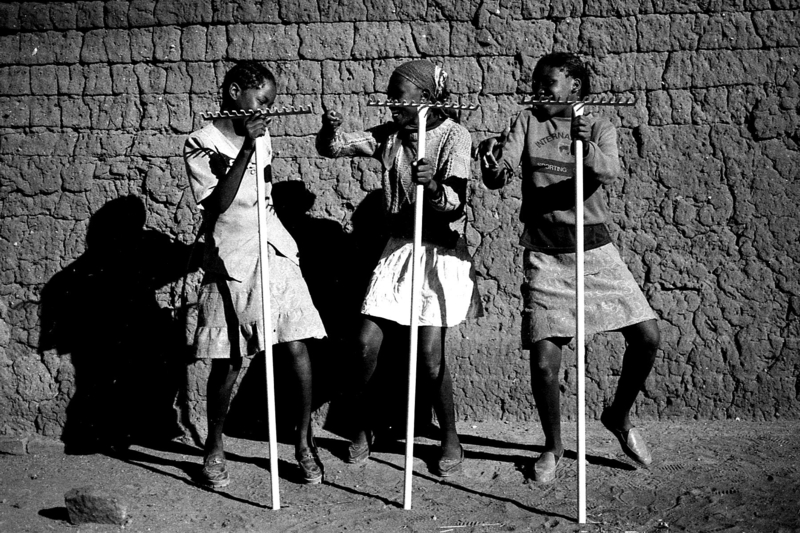 Here’s some kids I worked with in Botswana when I did a whole series of photos using rakes. The rake was the first tool that took my attention when I stepped of the plane on the edge of the Kalahari desert. 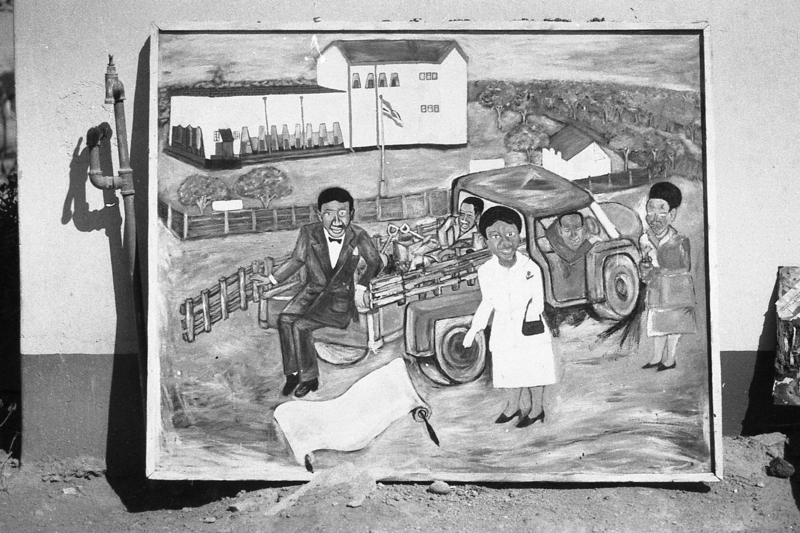 Here is a painting by a Botswanan student. I did some teaching in a Senior Secondary School in Machudi and managed to recruit 4 students to come and study at the Art College …… they all got quality degrees! I love that the first level you see is the 3 rakes but behind them is where all the action is taking place. Brilliant. The painting is also very cool, it’s almost iconic in its composition. What’s the story with the scroll? Don’t know about the scroll in the painting Lynette …… looks like it should have some writing on it – but blank as it is – it adds a really surreal quality to the narrative ….. The favourite subject matter for paintings seemed to be waterfalls and wild animals ! The kids just loved to be photographed …… I got hundreds of shots. Here is a small boy who helped us build a huge outdoor kiln .. he went everywhere with us ! 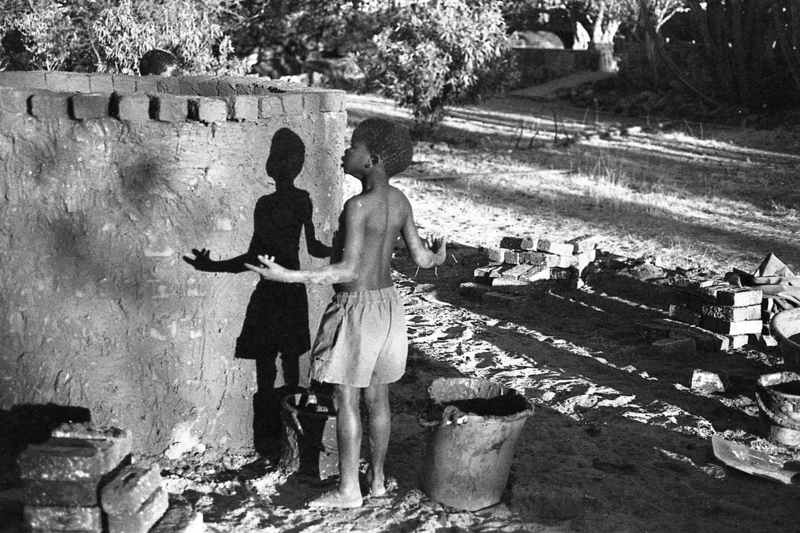 When the sun was high the shadows were dense and almost three dimensional at times!